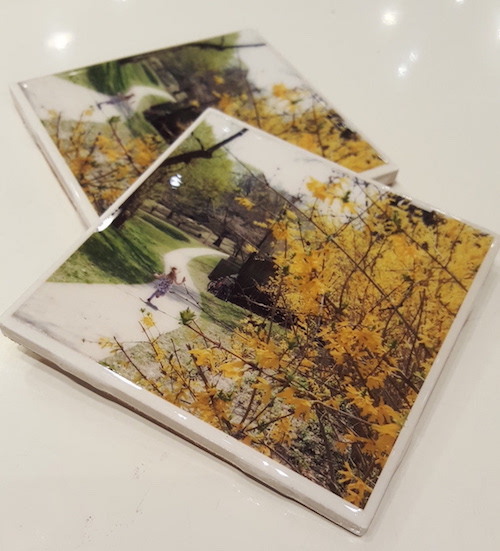 This week’s image: The Forsythia Festival, Sunday May 7 in Wellesley Park. It’s a rain or shine event - and it’ll definitely be sunny! From Friday May 5 to Sunday May 7, volunteers will be conducting the annual Jane’s Walk across the city. One local walk happens on Friday. Five more of them happen in our neighbourhood on Saturday and two more later in May and June. 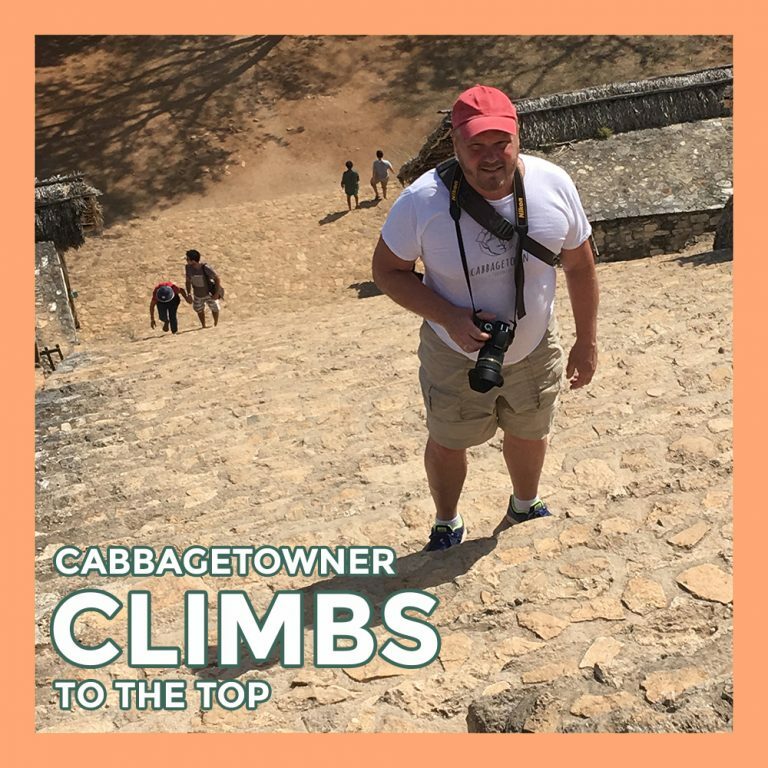 On Friday May 5 at 6:30 pm, the weekend starts with a Sesquicentennial Walk through Cabbagetown featuring seven local homes. Meet at Sumach and Winchester. Here’s the website page that gives you all the details. 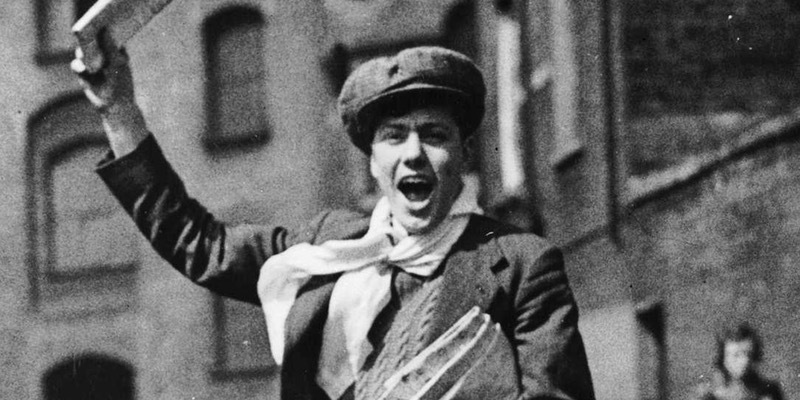 This fun and fact-filled documentary film explores Toronto’s roots and its greatest achievements. Friday May 5 from 12:30 pm at the Paintbox Bistro (555 Dundas E). Glen Murray and David Blackmore will host the event. Regent Park revitalization - Saturday, 11 am, Regent Park Presentation Centre (500 Dundas E). Online link here. Building community through food: the taste of Regent Park - Saturday, 1:30 pm, plaza across the street from the Daniels Spectrum (585 Dundas E). Website page here. 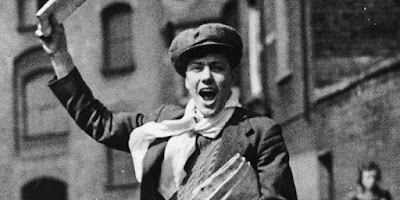 James walk in St James Town - Saturday, 1:30 pm, northeast corner at Wellesley and Parliament. More info online here. “The “Can’t believe this is Toronto” art walk - Saturday. 1:30 pm, Odin Cafe (514 King E). The walk's online info is here. Discover the lower Don River valley - Saturday, 1:30 pm, Broadview and Queen. Details about the tour online here. 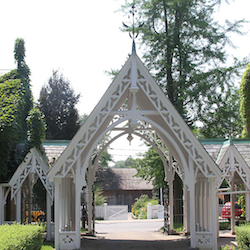 Two additional tours happen later this month - through St James Cemetery and through the Distillery. Both are ROMWalks and will be repeated three more times over the summer. Announcements will come later this month. There are lots more walks nearby in Riverdale, the Don Valley, the St Lawrence district, the lakeshore and the downtown core. Click here to find the Jane’s Walk site - then enlarge the map to locate local walk info. Our neighbours in Leslieville are organizing an amazing Festival with over forty breweries, wineries, artists and restaurants. Saturday May 6 from 3 to 11 pm at District 28 (28 Logan). Local cuisine from Leslieville restaurants, craft beers from east side brewers, local artisans and local entertainers are all featured. Tickets are $20/advance and #25/door. There’s more info, photos and tickets at the Festival’s website. 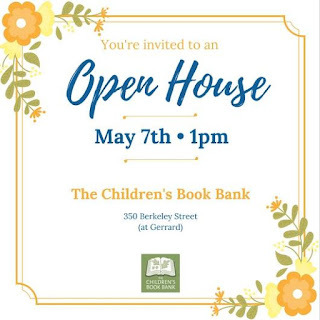 Sunday May 7, 10 am to 4 pm. The Festival Parade starts at 10 am in Riverdale Park (Winchester and Sumach). Events take place in Wellesley Park (east end of Wellesley). This is a family fun day - lots of kids’ games and crafts, face painting, a photo booth and more. Bring your bike for a check up in the pop-up bike shop (thanks to Cycle Solutions). Live music and a magician to provide the entertainment. There’ll be a beer garden (organized by Stout Irish Pub) and a barbeque (with chef Mark Michelin from St Jamestown Steak & Chops). Wear something yellow. It’s the Festival dress code. An amazing selection of prizes awaits lucky winners throughout the day. There’s dance lessons, karate lessons, yoga sessions, bike gym memberships, art, food baskets, pizzas, retail and restaurant gift certificates, Thai massage and a whole lot more. Check out the list here. Our thanks to businesses and individuals whose gifts make the Festival possible. Over fifteen have given gifts and cash valued at more than $500. Over two dozen more contributed from $50 to $499. To see the full list, click here. Carlton Street east of Parliament will get a long-awaited resurfacing during the summer. Parliament Street from Bloor to Wellesley will be resurfaced from May 15 to August 19. The work will be done from 7 am to 11 pm, Monday to Saturday. Traffic will be reduced to one lane in each direction and parking will be eliminated. Community Environment Day. 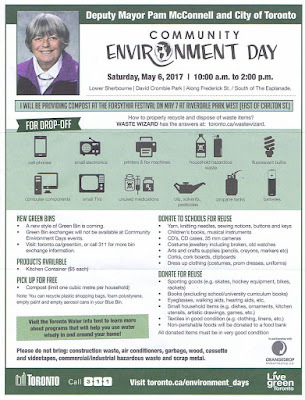 Hazardous goods, electronics, old appliances, even e-cigarettes can all be delivered to the City’s special disposal system, 10 am to 2 pm, Saturday May 6, the Esplanade at Lower Sherbourne. There’s a long list of recycle items, items for reuse in schools and items that you shouldn’t bring. Read about it at Pam’s environment day website page. The Cabbagetown Youth Centre (2 Lancaster) has the perfect day camp for children and youth aged 4 - 18 years. The program includes sports, performing arts, evening leagues and more. Registration will begin on Monday May 1st. You won't want to miss it! Drop in to the CYC or go online here to register. Jason van Bruggen’s images of contemporary life in the High Arctic are displayed among the lush flora until May 15 in the Allan Gardens Conservatory (Carlton and Jarvis). 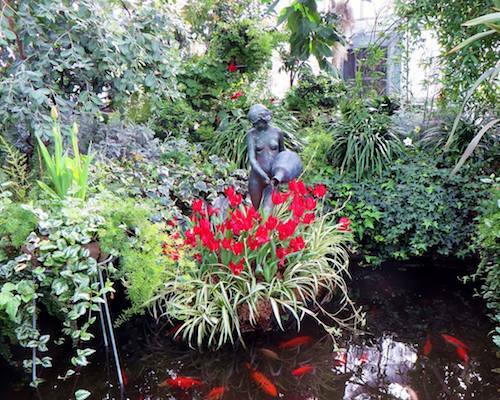 Open daily from 10 am to 5 pm. 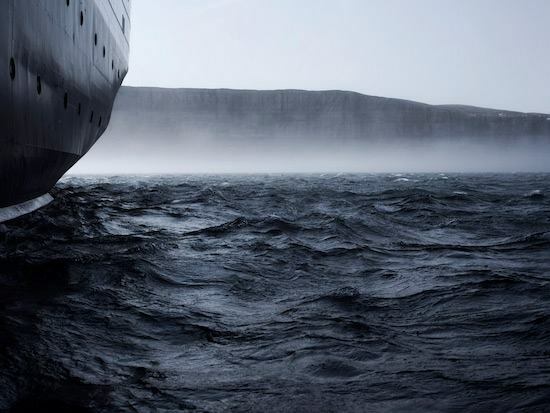 The exhibition is part of the Scotiabank CONTACT Photography Festival - click here for more info. The annual Spring Show and the Easter Show are each finishing on Sunday May 14. Open daily from 10 am to 5 pm. 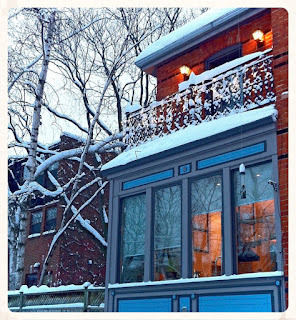 Conservatory (Jarvis and Carlton). Alexis MacDonald/Stephen Lewis Foundation, The Unsung S/heroes, intimate glimpses of the African grandmothers on the frontlines of the AIDS crisis. 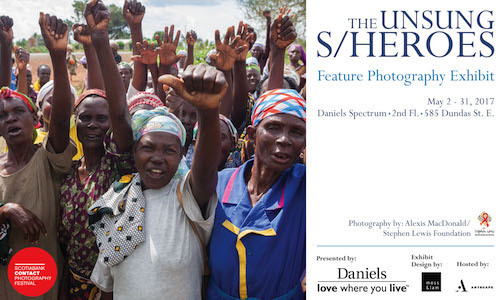 Daniels Spectrum (585 Dundas E), Second Floor, May 2 to May 31. 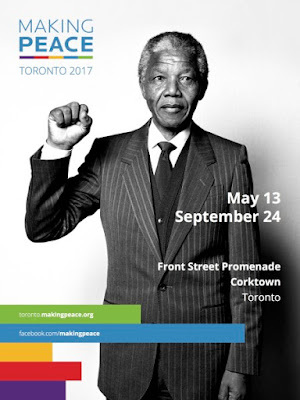 Making Peace - an outdoor group exhibition of 124 pictures of people who devoted themselves to the cause of peace in the past century. Front Street Promenade, Corktown, May 13 to September 24. Two Tees are now on the market here. The Cabbagetown BIA has a nifty design that’s become a logo for the neighbourhood. Gilles Huot wore his while climbing the Mayan pyramid in Mexico’s Yucatan Peninsula. The BIA has lots of Tees, a tote bag and official flags at its office (237 Carlton). 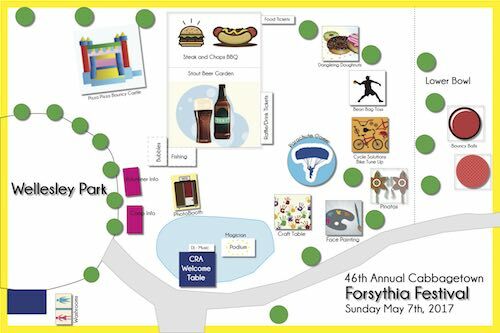 Cycle Solutions (444 Parliament) is a Gold Sponsor at the Forsythia Festival. 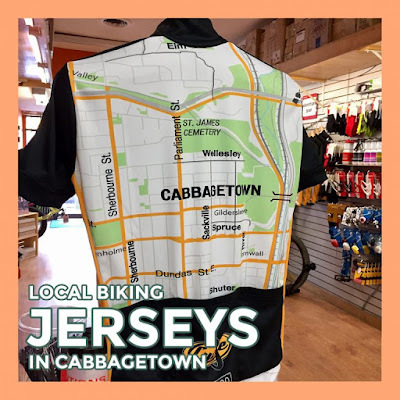 Kale has a cycling shirt designed for riding with a great graphic of a Cabbagetown map. Pick one up at the store. In the 1890s, the Lakeview (later Winchester) Hotel was regarded as “an excellent up-town hotel” with telephones and easy access to all parts of the city via streetcar. And, yes, one could see Lake Ontario from both the tower and even the adjacent plank sidewalk. 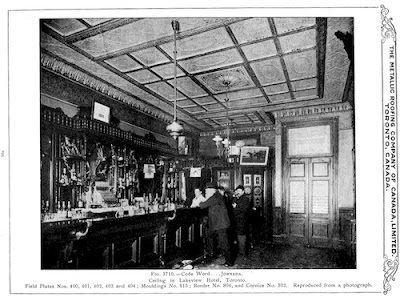 The expansive barroom featured a long mahogany bar, with brass (and strategically placed) spittoons. The elaborate tin ceiling was so special that it was featured in the Metallic Roofing Company’s catalogue along with other ceilings from around the world. For more Cabbagetown history, photos and videos, visit the CRPM Facebook page. Please support the Museum by clicking on GoFundMe. 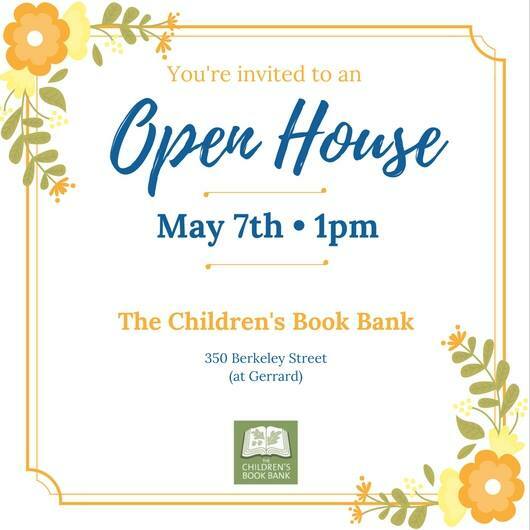 The Children’s Book Bank (350 Berkeley at Gerrard) is hosting an Open House on Sunday May 7 at 1 pm. Everyone welcome. There’ll be eco-friendly fun crafts, light refreshments and a chance to learn about its work. The second annual fundraiser to support the Centre for Community Learning & Development (540 Dundas E). 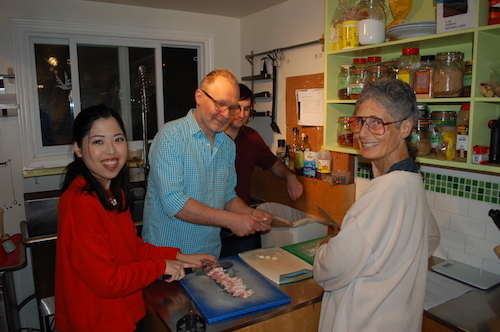 The Centre’s work focuses on life skills for newcomers to Canada. It’s been active in Regent Park since 1979 and opened the TD Centre for Learning in 2010. It’s website offers details on its programs and its clients Click here. The event will include cocktails and a culturally diverse menu prepared by Paintbox’s chef Chris Klugman. Silent auction. 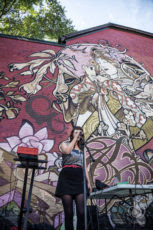 Entertainment by local artist Jessica Speziale. Thursday May 11, 6 to 9:30 pm, Paintbox Bistro (555 Dundas E). Tickets are $75 - click here to buy yours. 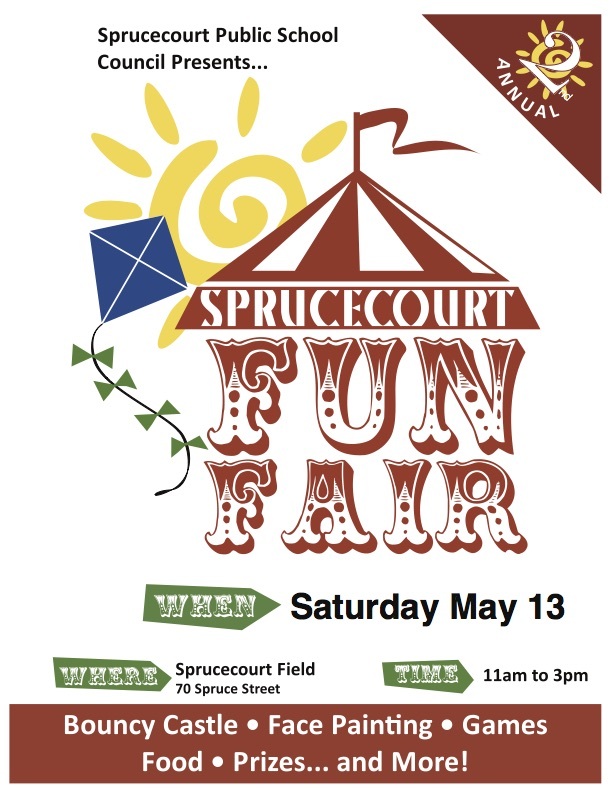 Bouncy castles, face painting, games and activities, good food and prizes. 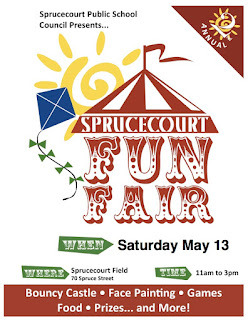 Saturday May 13, 11 am to 3 pm, Sprucecourt School (Sumach and Carlton). 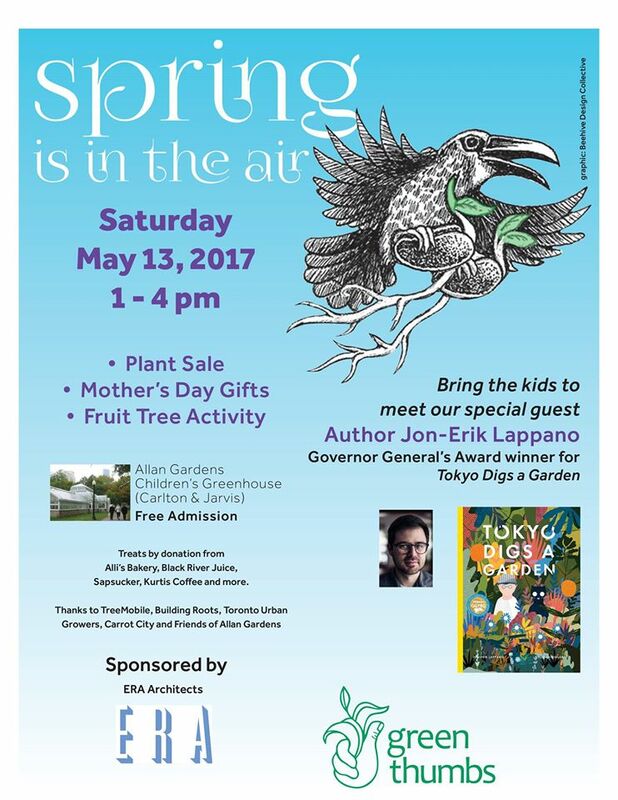 Green Thumbs presents its Spring plant sale. 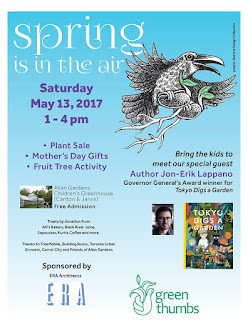 In the Children’s Greenhouse at Allan Gardens (Jarvis and Carlton), Saturday May 13, 1 pm. Free admission. The Association’s next general meeting will feature Glen Murray as its speaker. Monday May 15, 7 to 9 pm. Dixon Hall (formerly St Peter’s Church), Bleecker and Carlton. Back again - every third Tuesday of the month with the live band Unbuttoned. Ages under 19 and first-time performers are encouraged to take the stage. 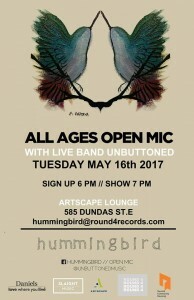 Singers, instrumentalists, poets, spoken word - all are welcome. No cover. Check out the rules for performers online here. Daniels Spectrum (585 Dundas E), May 16, 6 pm. 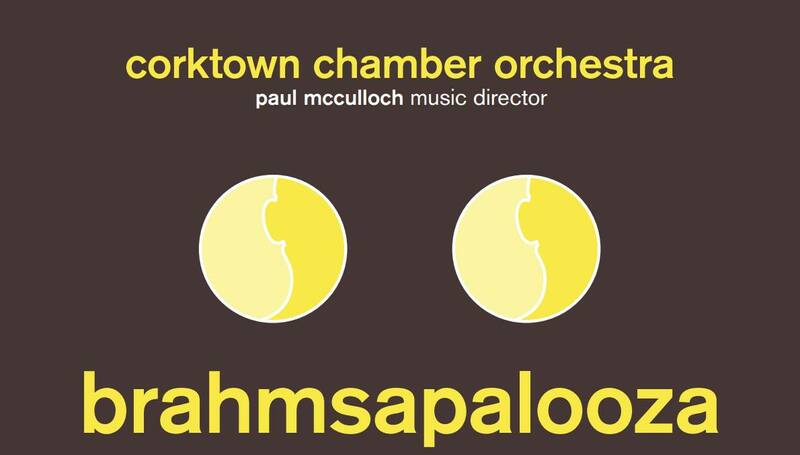 Presenting brahmsapalooza - Thursday May 18, 8 pm, Little Trinity Church (425 King E). The program includes the Brahms Double Concerto, Haydn’s L’Isola Disabitata and Brahms Symphony No 1. 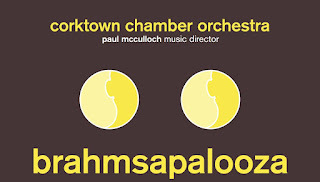 It’s the orchestra’s final concert for the season. For sale - 300 Carlton Street. Open house, Saturday May 6 and Sunday May 7, 2 to 4 pm. 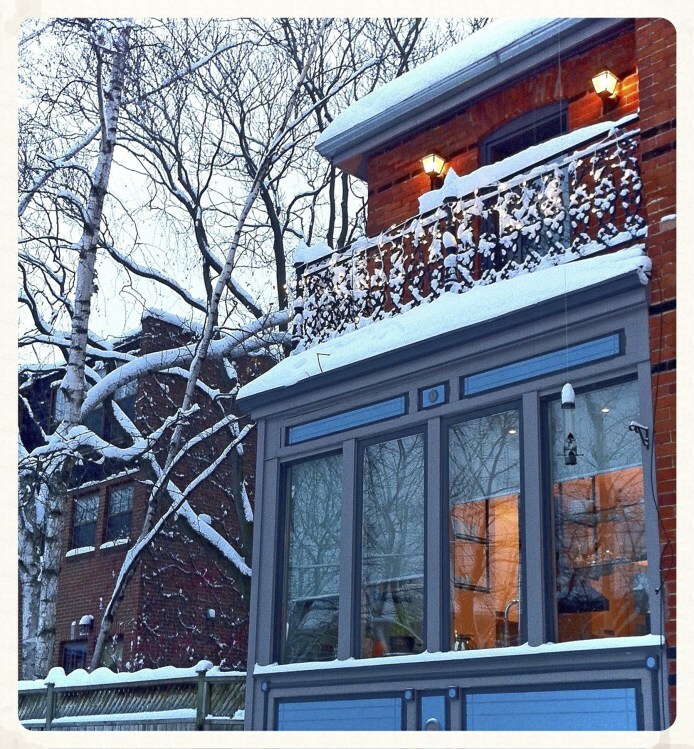 Unique Cabbagetown Victorian 3 storey home on corner property with private garden and single car parking. Richard Silver, sales representative and senior VP sales, Sotheby’s International Realty. Click here to see details about the home. Mother's Day Knitting Kits only $25! What better way to celebrate Mother's Day than spending time together knitting matching headbands? Buy your kits today from Ninebark Knits. All kits include one set of bamboo knitting needles, one ball of eco friendly yarn, and one pattern. The colour and style is up to you. Click here to reach Sarah’s website. The 2017 edition of Toronto Life’s printed guide to Toronto restaurants is now available. Six of our local eateries have been included. F’Amelia (12 Amelia) earned four stars on the Italian list. Cluny (35 Tank House Lane, Distillery) gets two and one-half stars in the Bistro section. Kingyo (51B Winchester) has three stars in the Japanese group. Corktown’s Cocina Economica (141 Berkeley) is a two-star Mexican recommendation. 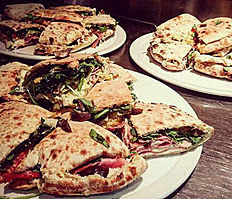 In the Canary District, Souk Tabule (494 Front E) has three-stars for its Middle Eastern menu. For Thai food, Sukhothai (274 Parliament) has two stars. Islamic Relief Canada and Somali-Canadian Relief Task Force held a fundraiser last week to support the urgent relief needed to stave off a third massive famine in Somalia in 25 years. Funds will provide emergency food aid and water trucks. 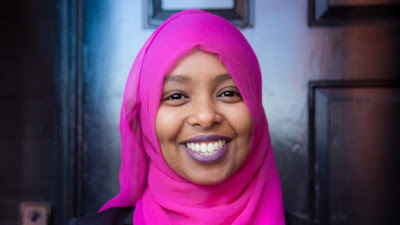 The CBC did a report explaining how young Somali-Canadians organized the event and took leadership in this initiative - click here to read it. Dave LeBlanc, the Globe & Mail’s architourist visited the new Food Market in Moss Park (Seaton and George) in late April. He wrote about its operation and the way that new condos could incorporate similar food markets across the city. Click here to read his story. This tiny cafe at 141 Berkeley serves delicious Mexican food. Toronto Life has listed it as one of its top Mexican restaurants in Toronto. Click here for the online review. The Festival launches on May 11 at various venues across Toronto. 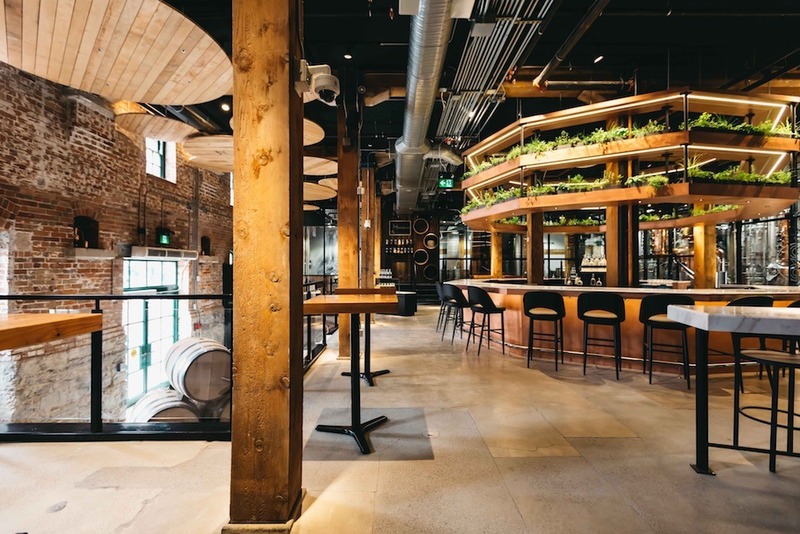 On Saturday May 13 from 11 am and Sunday May 14 from noon, there’s a free outdoor stage performance by various a cappella groups in the Distillery. As well, on Saturday May 13 at 1 pm, there’ll be a giant sing-a-long to break two Guinness World Records - most nationalities singing a national/regional anthem and most nationalities in a simultaneous popular music sing-a-long. 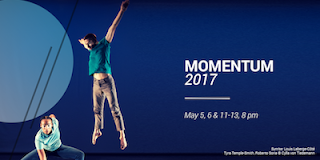 Students at the School of Toronto Dance Theatre present a main-stage performance of ensemble repetoire showcasing the dancers from all three years of the Professional Training Program. Click here to read details about each performance and to get tickets. 8 pm, May 5 and 6 and May 11 to 13, 80 Winchester. There’s a bike shop located in the new Canary District buildings at Bayview and Front. Gears (500 Front E) has both a retail store and a service department. On Wednesday, I was riding my bike past the store when I was told unexpectedly that my rear tire was soft. 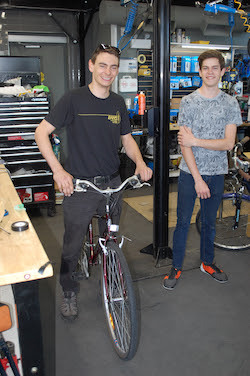 Evan took over, brought my bike inside the service department and checked both tires quickly. Plus I got an encouraging review of the restaurant next door. All free. Good advice, great service - thanks guys. The store's website is here. Give your dog proper protection against lyme disease carried through a tick’s bite. 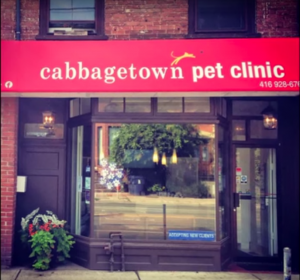 The Clinic (239 Gerrard E) together with the Cabbagetown BIA has prepared a fact sheet with the info that you need to know about its prevention and treatment. A new distillery is opening in The Distillery on Thursday May 11. The Spirit of York (12 Trinity) will make small-batch gin and vodka in 750 ml bottles. It will join Mill Street Brew Pub and the Ontario Spring Water Sake Company. F’Amelia (12 Amelia) is a Gold Sponsor of this year’s Forsythia Festival. Festival-goers will want to stop by for brunch before or after a visit to the park. 11 am to 2 pm, Saturday and Sunday. 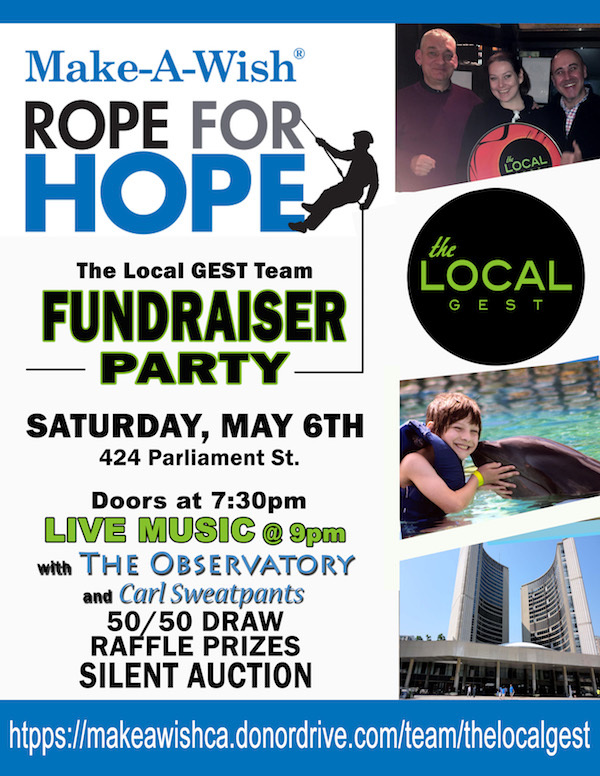 The Local GEST (424 Parliament) has a team participating in the Make-a-Wish fundraiser. They’ll be rappelling down the 30-storey side of Toronto City Hall to support the fund. 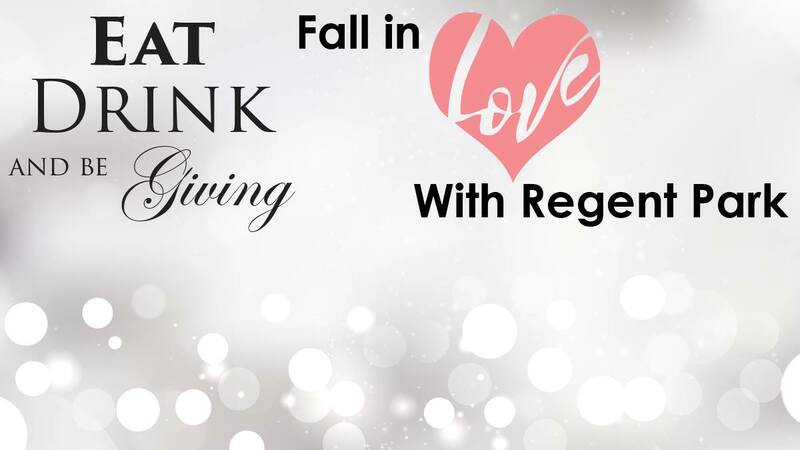 They’re raising money through pledges and donations and with a special fundraiser to be held at The Local GEST on Saturday May 6 with live music, raffles and a silent auction. The goal is to raise $10,000 for the team. Picnic menus are the theme for Cyril’s next cooking class at Merryberry (559 Parliament). You’ll prepare five savoury loaves - think about chicken, tarragon and sun dried tomatoes. Salmon with lemon and chives. Dates and chorizo. Feta with roasted red pepper and coriander. And shrimp, curry and red onion. Plus four salads along with three desserts. Cyril has tested out many of these recipes and declares them delicious. Wednesday May 10, 5:30 pm, $45. Save your spot by dropping in to Merryberry or phone (647) 348-0411. The art of Japanese paper folding. Everyone welcome, including kids. The instructor is Japanese. The first class is Saturday May 13 at 4:30 pm, $25. 559 Parliament. Get over to The Irv (195 Carlton) for some outdoor celebrations. The patio will be officially open. 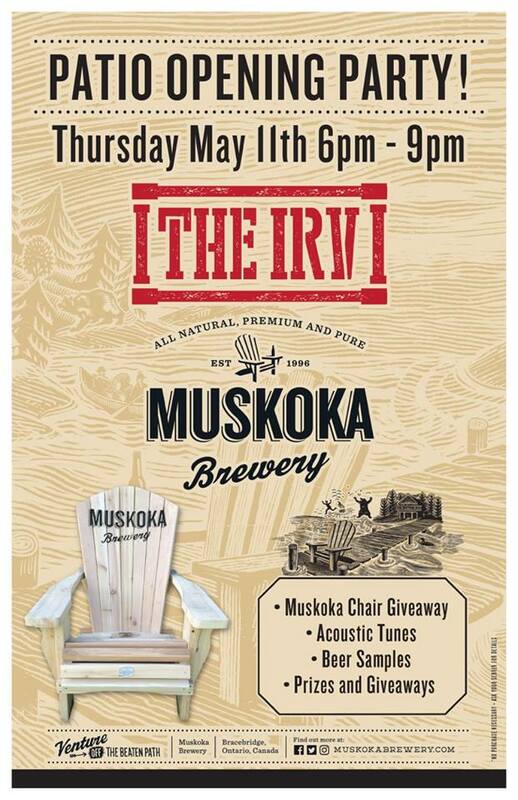 There’ll be a Muskoka chair giveaway, live music, prizes and giveaways and beer samples. 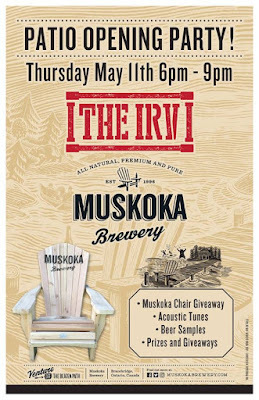 Thursday May 11 from 6 pm.